Whenever they have a grand opening on their calendars, Chris Cheek, chief development officers at Newk's Eatery, and Kevin King, chief development officer at Smoothie King, could be compared to the best of wedding planners. They have a carefully selected venue, they know the tastes of their future guests, and they are ever so well-organized. They also have impressive track records. King joined Smoothie King in May 2016 after 10 years at Papa Murphy's Pizza, where he helped elevate the take-and-bake brand to the fifth-largest pizza chain in the U.S. So far in his time at Smoothie King, he's seen the brand grow from 780 stores to more than 1,000. Since joining Newk's in July 2014, Cheek's track record also been enviably successful. He has helped grow the Southeast-based fast-casual brand from 70 locations to 127. Cheek, King, and others with high-achieving grand openings say what they've done isn't so hard. But they do follow similar ground rules and remain aware that there can be important differences between one opening and another. For King, his years in the business have strengthened his faith in a franchisor-franchisee relationship built on trust. An experienced franchisor offers resources that can allow a franchisee heading into a grand opening to focus on other parts of the process. "You join a franchisor system to take advantage of its experience," he says. However, he says, sometimes franchisees want to change the grand opening steps. "Our best advice is don't," King says. Grand openings, he says, are "incredibly stressful and something you don't do all the time. Let the experts do what the experts do so you can focus on opening the store properly." A franchisee may know a community better than the franchisor, but the franchisor is on a continuous learning curve based on analytics, experience and constant evolution, King says. Print media may still prevail over social media in some markets, but understanding that is not something a franchisee can be expected to know as well as their franchisor does. To make it easier for franchisees, Smoothie King has developed a grand opening booklet that lists every item needed in sequence (see sidebar). Franchisors also conduct an ongoing series of phone calls scheduled to anticipate crucial steps, starting months ahead of the opening date. For a regional brand like Newk's Eatery, based in Jackson, Miss., opening new locations outside its geographic area demands a different kind of grand opening strategy and poses a new set of challenges. While well established in many Southern states, the fast casual brand is relatively unknown outside that part of the country. Nor does its name quickly hint at what kind of food it might serve. Grand openings in a city like Atlanta, where the brand is known, are straightforward. "We have 14 locations there and awareness of Newk's is very strong. All we have to do is focus on people coming to a location," says Cheek. "In a new market, it's very different and it begins with site selection. Simply by site selection, you can assist with awareness. Nothing helps more than the site being what we call a billboard location: very visible." In recent years, Cheek has been supervising grand openings in those new markets--places like Denver and Indianapolis. This has transformed the task from creating location awareness to creating brand awareness. He says this means the grand opening marketing is centered on "educating the consumer about Newk's, why they should care about Newk's, and the culinary aspect of what we do." Some things don't change. New locations still prepare their employees with four days of in-store training where a new team "is put through its paces with friends and family who are surveyed," Cheek says. Newk's has also learned that its marketing package can be customized to good effect based on the specific demographics of a new store location. "The most important thing a franchisee can do is understand that marketing is an investment. and we have different packages franchisees can choose from with different levers they can pull." Newk's has kept these options limited in number. "You can give a franchisee too many things to choose from," Cheek says. "We've packaged the kits we've found successful, although we think that the larger kits will generate higher opening week and beyond sales." "Platforms vary from market to market, and some markets may already have more than one store," says Ruth Picha, vice president of field marketing at Papa Murphy's. In one location, geomarketing may be the best approach; in another, radio or television might make more sense. Franchisors have learned that the best attention-getting pitch for a grand opening is not the obvious "It's a new store!" announcement, but rather one based on the people involved in the new store. "You have to be flexible," says Picha. Picha also has been through enough grand openings to echo, with confidence, King's sense that a grand opening failure usually means something in the process has not been followed as set out by the franchisor. 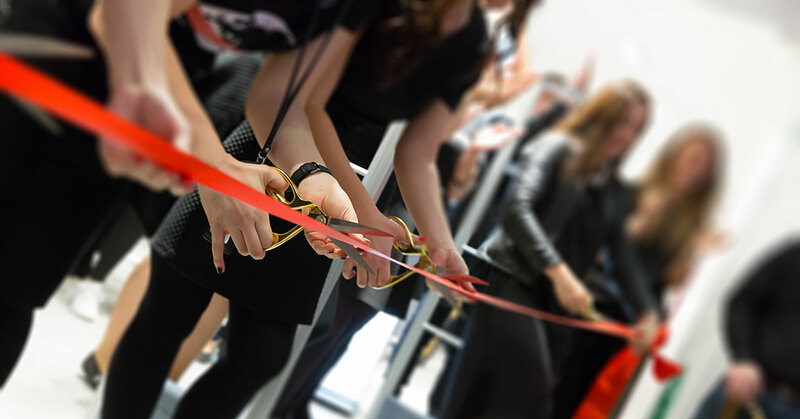 For example, while franchisors usually will have an agency develop media packages and make media buys, it's not always guaranteed that every franchisee will follow their grand opening process 100 percent. When they do, the results can be stellar. King tells of an opening in New York with an experienced franchisee who executed flawlessly, he says--so well that the opening was the most successful Smoothie King had ever seen, complete with the need for local police to be called to direct traffic. Yet even the most splashy, successful grand opening is not enough. "Unless you continue to follow the process, be involved in the community, stay engaged on the ground level and make use of franchisor resources, you might see the initial 'Wow!' fall off quickly," cautions Picha. Sport Clips, which opened its first salon in 1993 and today has more than 1,800 locations, is another franchise with proven experience at successful grand openings. The company's goal is to continue opening an average of 100 new locations each year. The brand's launch strategy includes a dedicated team to assist franchisees, starting with real estate. In fact, Greg Smith, the company's chief development officer, served as the franchisor's vice president of real estate for several years. Fully aware of each site's unique characteristics, Smith works hard to tailor each grand opening plan and minimize the number of variables franchisees will have to address. Smith wants his franchisees, especially first-timers, to have less to figure out on their own. "I know they have a learning curve," he says. And since every new location is different, Sport Clips' launch teams are customized to provide each site with the right set of team members, matching their expertise to each site's particular profile. Sport Clips also puts each opening on a timeline, with regularly scheduled phone calls and site visits. "It is regimented," says Earl Blood, senior director of operations for the franchise, "but if it's followed, we find people have a much better experience." The process is not static, however. Sport Clips operates 69 corporate locations, where the company can test new tactics, often using ideas suggested by area developers and team leader councils. Those new ideas are valuable, Smith says, because franchisees in the field may come up with ideas "we might not have thought of." Examples include methods on grand opening follow-up methodology to make sure that the momentum--and business goals--are not lost over time. Those methods include items like a questionnaire for customers asking how likely they are to recommend Sport Clips. "We have goals for every store," says Smith, "and we are continually evaluating. If we need to re-engage, we want to do that early. We want to make sure that everybody is successful." Fazoli's, with nearly 220 restaurants in 27 states, also emphasizes planning before, during, and following a grand opening. "Everyone is aligned on activities and activation for the first 30, 60, and 90 days of the new restaurant," says Jodie Conrad, vice president of marketing. "Our field marketing team is on board from day one, participating in weekly calls with the franchisee and our training and development teams. They work with the franchisee to assess the needs of the market and prepare a customized media and PR plan for each new restaurant, staying in constant communication, and meeting with the operators to adjust based on their feedback." Conrad highlights two particular elements of a Fazoli's grand opening. First are pre-opening sneak preview events for friends and family. These events, Conrad says, "connect the brand to our new community and its leaders, and give our new crew members a chance to put all of their training into practice so they're ready for opening. That practice is important because we can give our guests a great experience from day one." The events are also flexible enough to be customized to each specific neighborhood and local culture. The second element, Conrad says, is including merchandising and crew training and communication about the Fazoli's Rewards app, which jump-starts a loyal customer base. That jump start was an important part of what distinguished a new Fazoli's restaurant in Hazard, Kentucky: its opening week rang up $105,000 in sales, the highest in franchise history. "The grand opening events were built on the franchisee's local ties to the community," she says, "and the crew focused on building participation in Fazoli's Rewards from the very beginning with their guests. As a result, 15 percent of their occasions involve guests participating in the loyalty program. That's well above our system average." WellBiz Brands is a franchise portfolio company with wellness, fitness, and beauty brands: Fitness Together, Amazing Lash Studio, and Elements Massage. While it represents several brands, WellBiz uses a shared services platform and infrastructure to serve both its customers and its franchisees. First, says CMO Trever Ackerman, the company develops a trade area profile. "We work with the franchisee to develop an in-depth look at the area around their studio to assess potential opportunities, sources of competition, and to better understand the consumer demographic within the trade area. Corporate also creates a grand opening kit that includes direct mail, ads that can be placed in local publications, branded apparel and promotional products, and exterior signage such as A-frames or feather banners. WellBiz also develops a marketing plan for franchisees that includes how to manage their web page, social profiles, offers, and promotional strategies. The company also provides tips and advice on how to partner with local businesses and participate in community events. Most useful, however, may be the digital marketing setup that WellBiz produces for its franchisees. "We spend a significant amount of time and energy on digital marketing with our franchisees, knowing that this area might be the most unfamiliar to them," says Ackerman. "We've created a digital managed marketing platform, which allows us to centrally direct the majority of the digital marketing efforts for our franchisees. We also spend time with them walking through a checklist of approved partners and next steps that includes online business listings, Facebook marketing campaigns, call tracking, Yelp, PPC, email marketing, and online reviews." WellBiz also starts early. "Our general philosophy is that the 90 days leading up to the opening of a studio are crucial, with the planning and preparations starting two to three months before," says Ackerman. "Not only do we provide one-on-one direct support, we also make available an online toolkit and a support desk to help answer more specific questions or provide customized creative support." Again, it's about reducing the stress that franchisees endure in those pre-opening months. "We consider ourselves a partner with our franchisees, helping them with both the big and small details," says Ackerman. "Our goal is to set them up for success so the moment their doors open they can focus on providing a great customer experience." Make sure your franchisees follow your process and take advantage of the resources you provide so they can focus on hiring, training, and marketing. Hire and train your team. Develop a comprehensive pre-opening marketing plan. Engage the field marketing team. Celebrate the opening on the first day. Use PR to get the message out. Create fun and excitement around the opening. Execute the operating system from the first day; serve the guest. Use a countdown to opening to build excitement. Use banners and create an event. Involve the local community through the chamber or other local businesses. Sample your product to influencers. Repeat the at every new opening.